A lot of fame and money can be made by scientists who make amazing or unique discoveries, and while this generally provides a motivation for good research, it is occasionally abused. This is a list of 10 cases of scientific fraud that fooled many people. Perhaps this can serve as a reminder that some scientific “discoveries” need be taken with a grain of globally warmed salt. 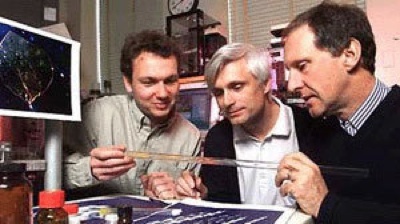 Jan Henrik Schön (pictured on the left), a researcher at Bell Laboratories in New Jersey, had five papers published in Nature and seven in the journal Science between 1998 and 2001, dealing with advanced aspects of electronics. The discoveries were abstruse, but he was seen by many of his peers as a rising star. In 2002, a committee found that he had made up his results on at least 16 occasions, resulting in the public embarrassment of his colleagues, his employer, and the editorial staffs of both the journals that accepted his results. Schön, who by then was still only 32, said: “I have to admit that I made various mistakes in my scientific work, which I deeply regret.” Nature also reported him as adding in a statement, “I truly believe that the reported scientific effects are real, exciting and worth working for.” He would say no more. 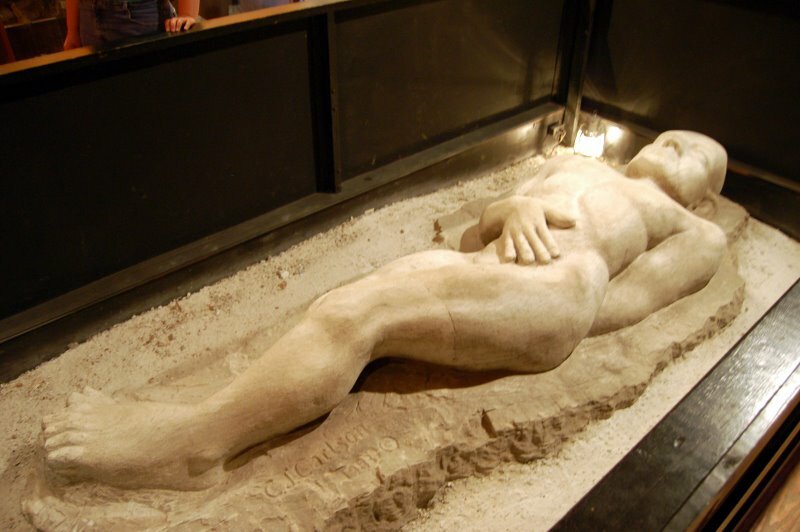 The Cardiff Giant is one of the most famous hoaxes in American history. It was a 3 meter (10 foot) petrified body of a man. It was discovered in 1869 by a team of workers digging a well behind the home of William Newell in Cardiff, New York. As it turns out, the giant was the creation of a New Yorker named George Hull, an atheist, who decided to create the giant as a joke on fundamentalist minister Mr Turk who believed that the Bible told of literal giants who roamed the earth. The giant became so popular that P T Barnum offered $60,000 for a 3 month lease of it. He was turned down so he had a replica made which he put on display. When his replica became more popular than the original, the owner of the “authentic” fake tried to sue Barnum. The judge threw the lawsuit out stating that unless the original could be proven to be real, there was nothing wrong with Barnum producing his own fake. Cars that run on water and fusion machines that generate more energy than they use are staples of inventors’ fantasy. They pop up all the time. Charles Redheffer raised large sums of money in Philadelphia with a perpetual motion machine and then took it to New York in 1813, where hundreds paid a dollar each to see it. It did, indeed, seem to keep itself turning. In the end, skeptics offered a large sum of money to “prove” that the machine was in fact a fraud. Redheffer took the money and the skeptics removed some wooden strips along the wall from the machine. When they did so, they found a cat-gut belt drive, which went through a wall to an attic where an old man was turning a crank with one hand, and eating a loaf of bread with the other. 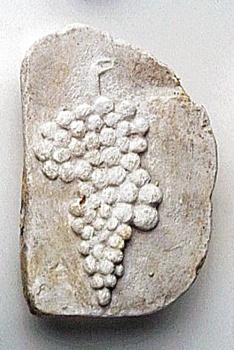 In 1726, Johann Beringer of Würzburg published details of fossils found outside the Bavarian town. These included “lizards in their skin, birds with beaks and eyes, spiders with their webs, and frogs copulating.” Other stones he found bore the Hebrew letters YHVH, for Jehovah, or God. He believed them to be natural products of the “plastic power” of the inorganic world, and said so in a book. In fact, they had been planted fraudulently by spiteful colleagues. The legend is that Beringer impoverished himself trying to buy back all copies of his book, and the finds became known as lügensteine, or “lying stones”. The colleagues who perpetrated the hoax lost their jobs and reputations over the scandal. 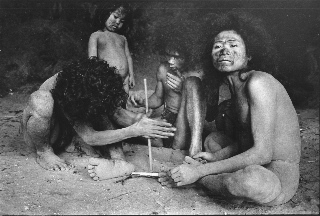 In 1971, a Philippine government minister (Manuel Elizalde) discovered a small stone age tribe living in isolation on the island of Mindanao. This tribe, called the Tasaday, spoke a strong language, used stone tools, and exhibited other stone-age attributes. Their discovery made television headlines, the cover of National Geographic, and was the subject of a bestselling book. When anthropologists tried to get a better look at the tribe, President Marcos declared the land a reserve and made it off-limits to all visitors. When Marcos was deposed in 1986, two journalists visited the site and found that the Tasaday in fact lived in houses, traded with the local farmers, wore jeans and t-shirts and spoke a modern local dialect. The Tasadays explained that they had moved in the caves and behaved in a stone-age manner because of pressure from Elizalde. Elizalde had fled the country in 1983 with millions of dollars he had stolen from a foundation set up to protect the Tasaday people. Shinichi Fujimura was one of Japan’s leading archaeologists – despite being self-taught. In 1981 he made his first discovery of stoneware that dated back 40,000 years. It was the oldest stoneware ever found in Japan and this discovery launched his career. 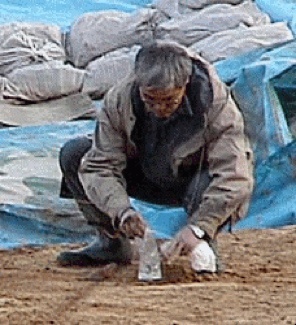 During the following years he discovered older and older artifacts that pushed the limits of Japan’s known pre-history. On October, 2000, Fujimara discovered a cluster of stone pieces that they believed to have been made by primitive people; they also found several holes that they claimed were to hold supports for primitive dwellings. The find was believed to be over 600,000 years old – making the oldest signs of human habitation in the world. This lead to international coverage. In August, 1835, a series of articles appeared on the front page of the New York Sun. 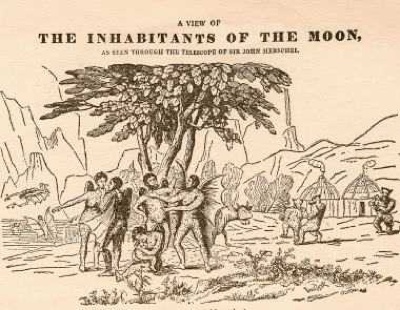 The articles listed a series of incredible astronomical breakthroughs that the British Astronomer, Sir John Herschel, had made using a unique large telescope and special methods. The article said that Herschel had developed a “new theory of cometary phenomena”; he had discovered planets in other star systems; and he had “solved or corrected nearly every leading problem of mathematical astronomy.” The article then mentioned Herschel’s most stunning achievement: he had discovered intelligent life on the moon. He described vast forests, seas, and lilac-colored pyramids on the surface of the moon. He described herds of bison that wandered the plains and blue unicorns which lived on the hilltops. The article was, of course, a very elaborate hoax. Herschel had not really observed life on the moon, nor had he accomplished any of the other astronomical breakthroughs credited to him in the article. In fact, it later turned out that Herschel was not even aware of many of the discoveries attributed to him. Despite this, the Sun continued to publish copies of the article before the public realized it was a hoax. 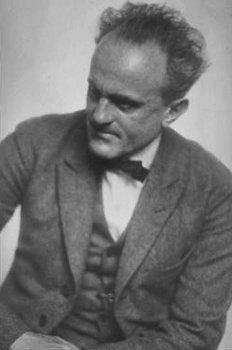 During the 1920s an Austrian scientist named Paul Kammerer designed an experiment to prove that Lamarckian inheritance (the notion that organisms may acquire characteristics and pass them to their offspring) was possible. His experiment involved a species of toad called the Midwife Toad. Most toads mate in water – resulting in scaly black bumps on their hindlimbs which allow them to hold on to each other during mating, but the midwife toad mates on land – and therefore does not have these lumps. Kammerer said that by forcing midwife toads to mate in water, he could prove that they would develop the same bumps. Kammerer mated a number of generations of toads in a fishtank full of water. Eventually he announced that he had succeeded and he presented a group of midwife toads with black bumps on their hindlimbs. However, in 1926, Dr G. K. Noble studied the famous toads and discovered that the black bumps were in fact ink that had been injected in to the hind legs of the toads. When the fraud was unveiled in 1926, Kammerer was humiliated. He insisted that he had not injected ink into the toads and suggested that one of his lab assistants might have done it. Kammerer committed suicide a few days later. The paper, “Transgressing the Boundaries: Towards a Transformative Hermeneutics of Quantum Gravity”, was published in “Science Wars” that year. 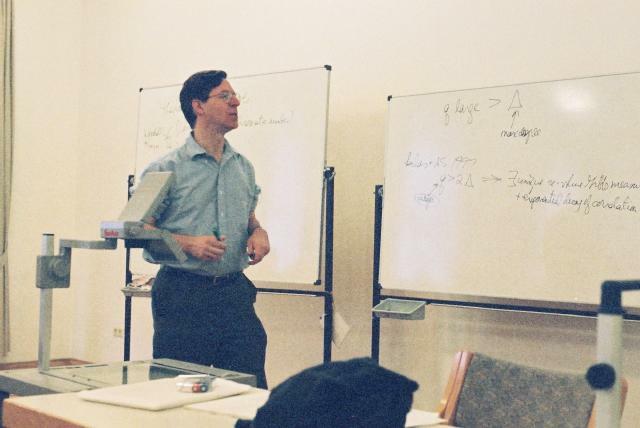 On the day of publication, Sokal announced (in a different paper,) that the article was a hoax. He said that Social Text was “a pastiche of left-wing cant, fawning references, grandiose quotations, and outright nonsense”. Much heated debate followed, especially regarding academic ethics. 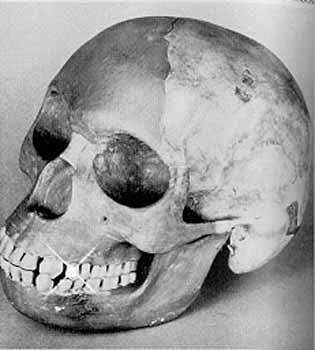 The Piltdown Man is a famous hoax in which pieces of a skull and jawbone found in 1912 were believed to be the fossilized remains of an early form of human being. The specimen was officially given a latin name (Eoanthropus Dawsoni) after its collector Charles Dawson. In 1953 it was exposed to be a fraud consisting of the jawbone of an orangutan and the skull of a fully developed adult man. The Piltdown hoax is probably the most famous hoax in history. It has become so well known for two reasons: the attention it brought to the issue of evolution, and the length of time (over 40 years) that it took for anyone to discover it was a fraud.